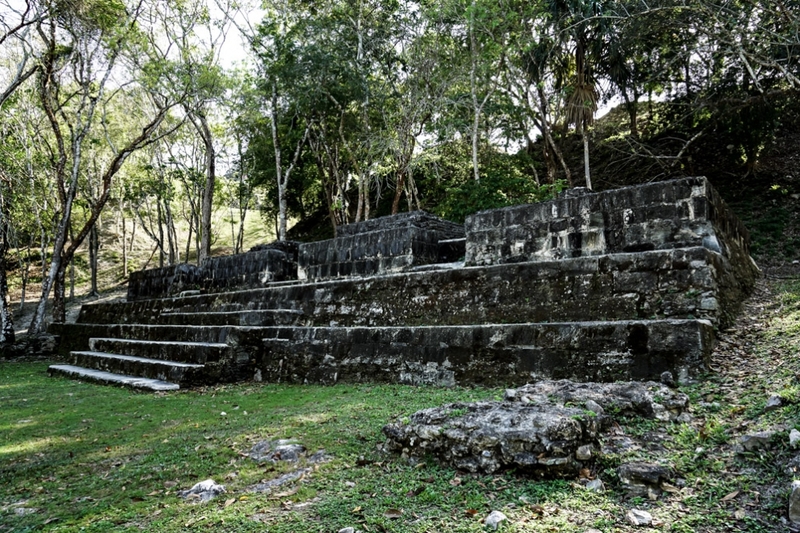 Deep in the remote jungles of Belize, just across a clear, placid river lies an ancient ruin that was left abandoned and untouched for over 1,000 years. Xunantunich exudes mystery and is named after its ghost story, which has been told and romanticized over for centuries. 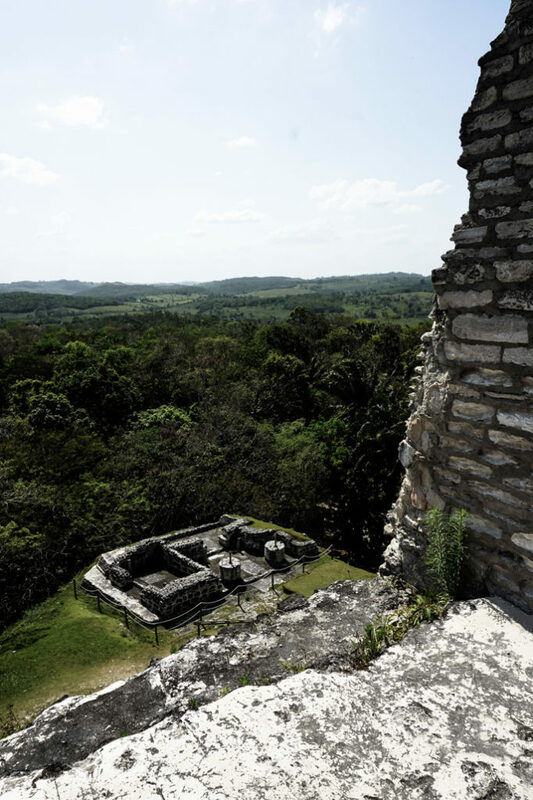 Overlooking the haunted El Castillo pyramid of Xunantunich in Belize. One of the few, well preserved time capsules that the ancient Mayans left behind, Xunantunich has lied abandoned since around 1000 AD. It is thought that a devastating event, such as an earthquake, caused a sudden evacuation of the large Mayan city around 700 AD. This disaster caused extensive damage to the main pyramid of Xunantunich (El Castillo). Although the city was re-occupied some time after, it only remained active for another 300 years before it was abandoned completely. 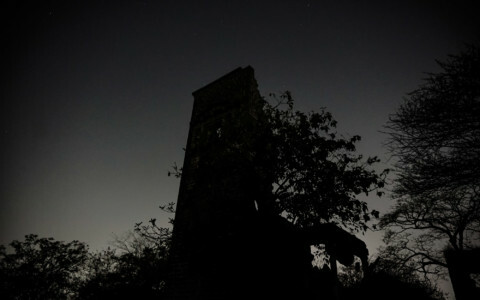 After abandonment, the site remained empty, eventually being hidden and consumed by the surrounding jungle until it was rediscovered by explorers in the early 1890s. 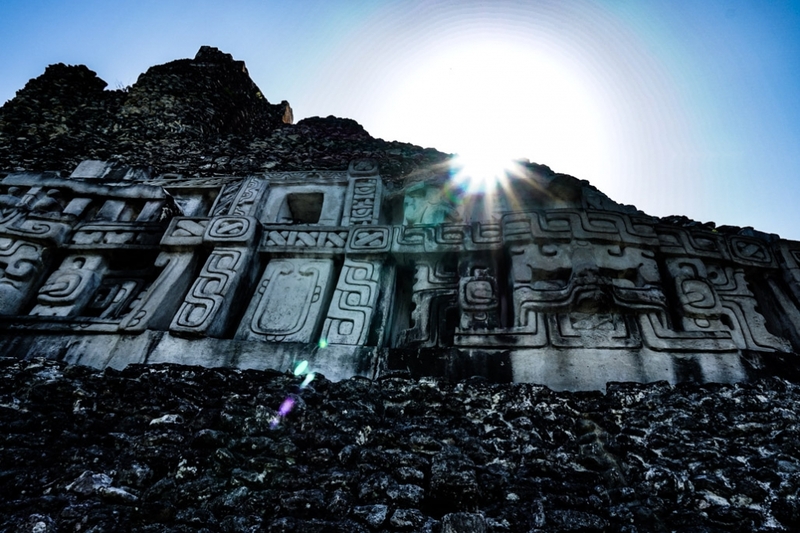 Sunlight peering over stone hieroglyphs adorning a pyramid at Xunantunich. 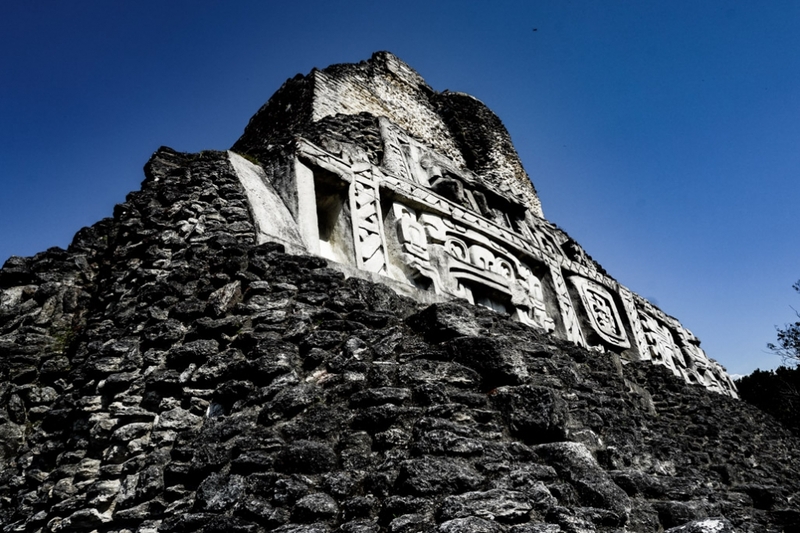 Before the abandonment of this large and populous city, Xunantunich was a thriving metropolis. The first construction at the site dates back to sometime in 200 AD, with growth continuing until its final days functioning as a city. 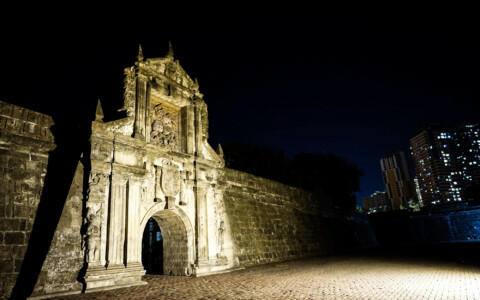 The city grew to consist of many temples and palaces, including its largest and most recognizable, known as El Castillo. 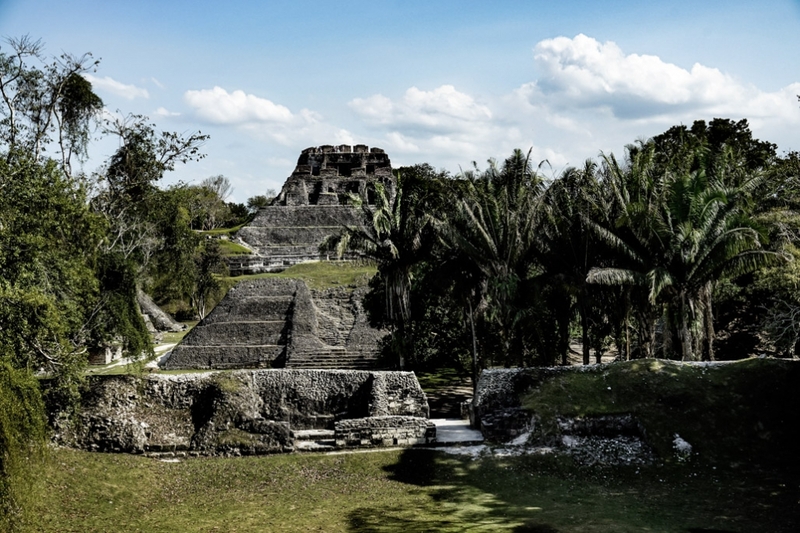 Though the main town center is relatively small in comparison to other Mayan sites, Xunantunich would have stretched widely with great agriculture efforts consisting of smaller communities. 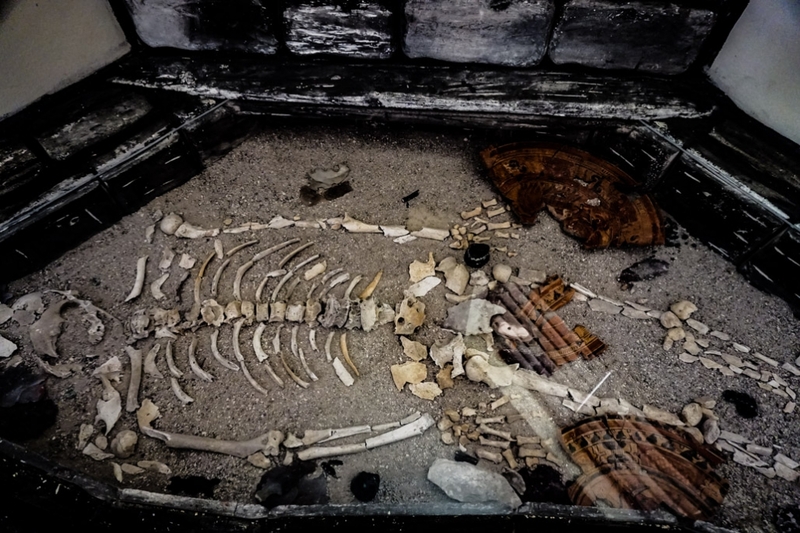 Human skeletal remains found at Xunantunich. The ghost story of Xunantunich came to life in 1893 after the first sighting was made. Early one morning a man who was part of research teams working on the site, saw what he described as a Mayan Maiden ascending the staircase of Xunantunich’s main pyramid. This vision caught him by surprise so he continued to watch as the woman walked further up the stairs. She wore a flowing white gown and had long, thick, dark hair which cascaded down her sleek back. Suddenly, she stopped and turned to look at the man with glowing red eyes that pierced through his soul. 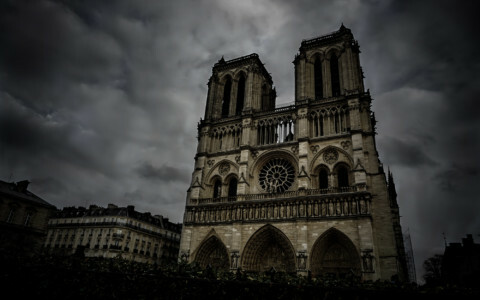 She then turned to continue her climb to the top of the pyramid where she disappeared in amongst its stone columns. The shocked man quickly assembled a team to search for this woman, yet no trace of her was ever found. Climbing the haunted ruins of Xunantunich. 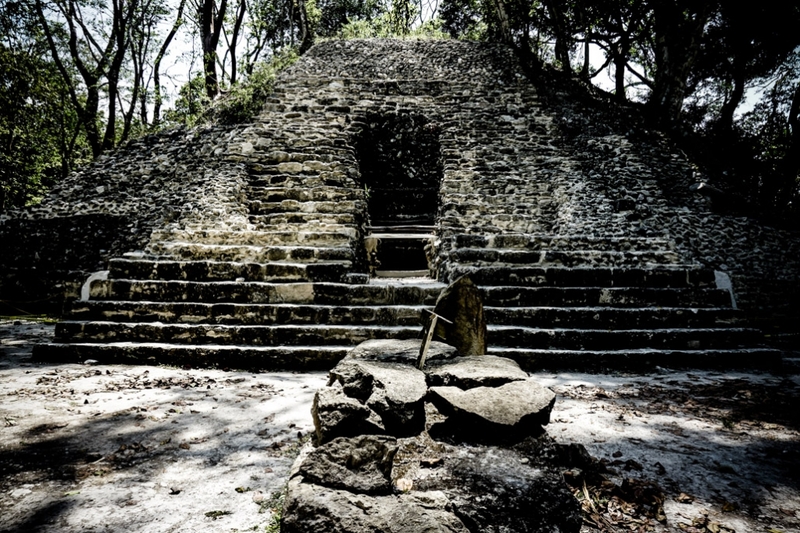 Since this sighting, countless more have claimed to also spot the ghostly maiden who haunts Xunantunich. She is always described in the same way and is always ascending El Castillo’s stair case. To this day, the sightings continue. Their frequency is what gives Xunantunich its name, translating to ‘The Stone Lady’ in Maya language. Mayan ruins in Belize at the haunted Xunantunich site. Some believe that this Maya Maiden may have formerly lived within the city many years ago. Others believe that she was a human sacrifice victim, trapped to re-live her last moments of ascending to the top of the pyramid where her death ritual would have been conducted. Then, there are a few who believe her to be some sort of ancient Godly spirit linked to the site and Mayan culture. Though many have speculated, no one truly knows the identity of The Stone Woman that haunts Xunantunich. More artwork atop a pyramid at Xunantunich, Belize. Xunantunich is an incredible Mayan site to visit. It lies in Belize just a short distance from the Guatemalan border. Because of its remote location it doesn’t attract large scores of tourists and the ruins are able to be climbed to view the surrounding landscape, which is truly breathtaking. Enjoying the view from Xunantunich and looking for its ghost, The Stone Woman. I visited from San Ignacio, a nearby town. From there, I was able to catch a Chicken Bus, which dropped me off at a river. To access the Xunantunich site, I had to catch a ferry across the river and then walk for about 2km to the front entry. Here it’ll cost just a few dollars to spend some amazing hours inside haunted ruins left by the ancient Mayan civilization. Make sure to bring plenty of water and wear some sun cream. More ruins that litter the Xunantunich site in Belize. If you enjoyed this read and are curious about other haunted Mayan sites, check out my other blog post on the ghost stories of Chichen Itza.